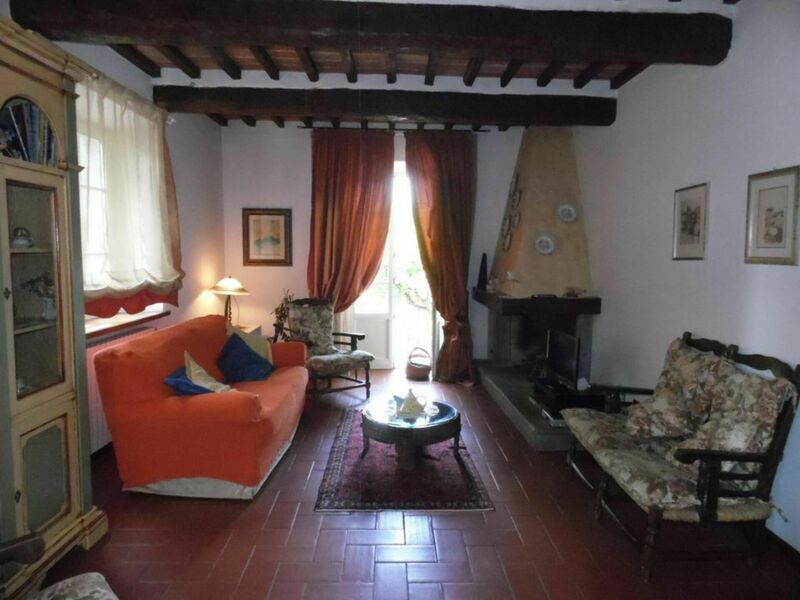 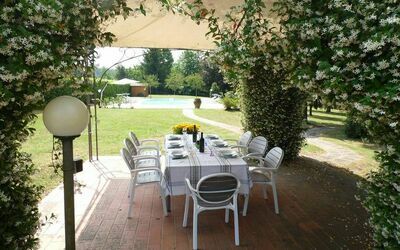 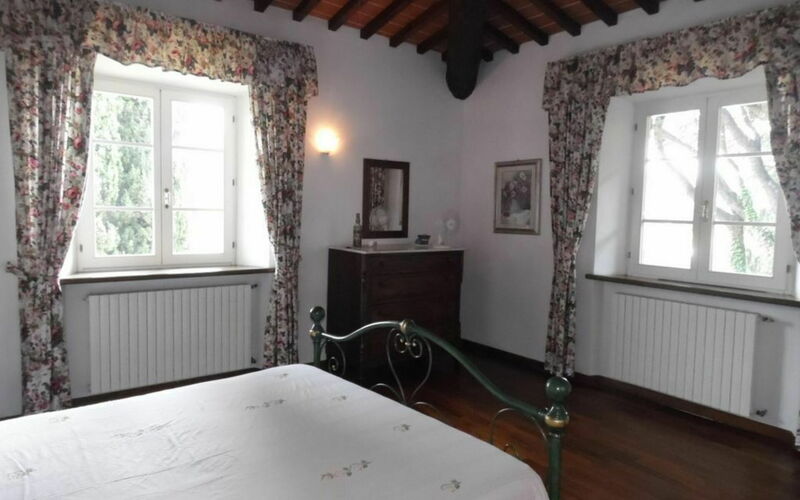 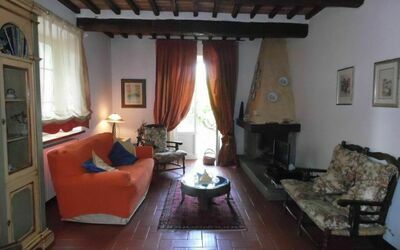 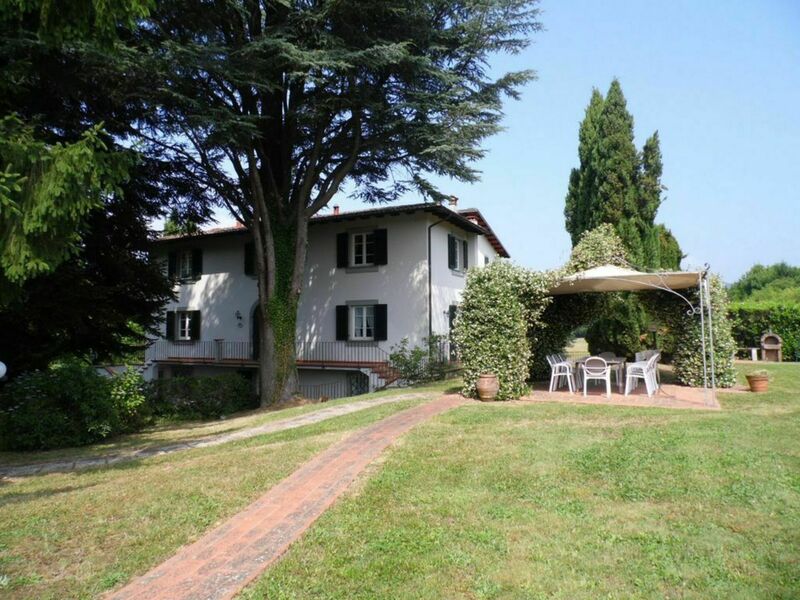 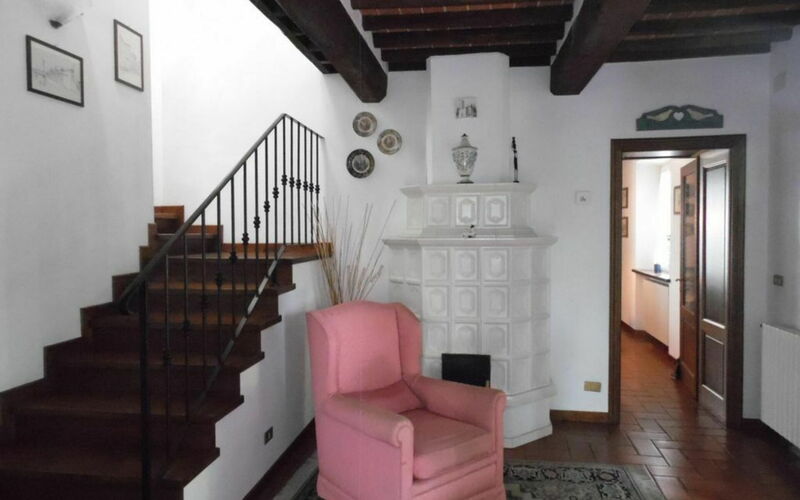 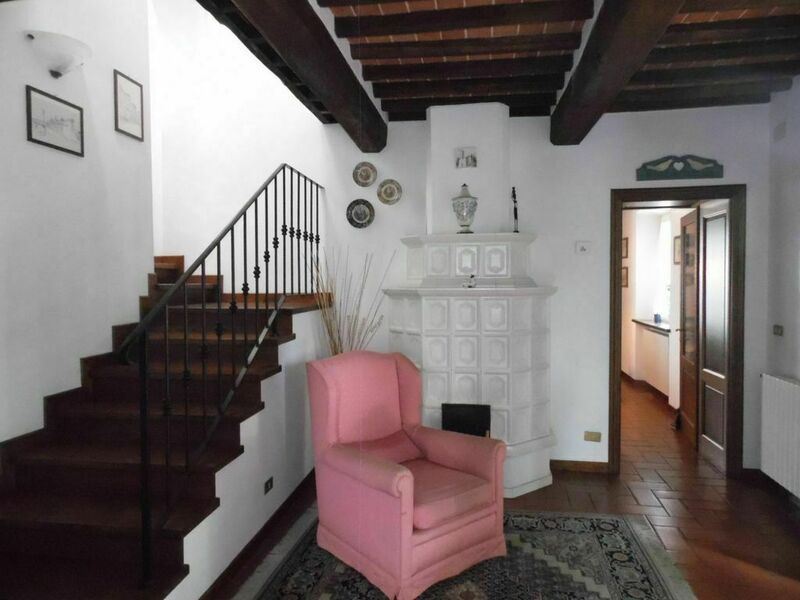 Villa Alva, is a beautiful spacious, elegant, light and airy property, with private pool, situated within walking distance of the town of Barga with its well regarded restaurants, beautiful architecture, amazing views, local art and music! 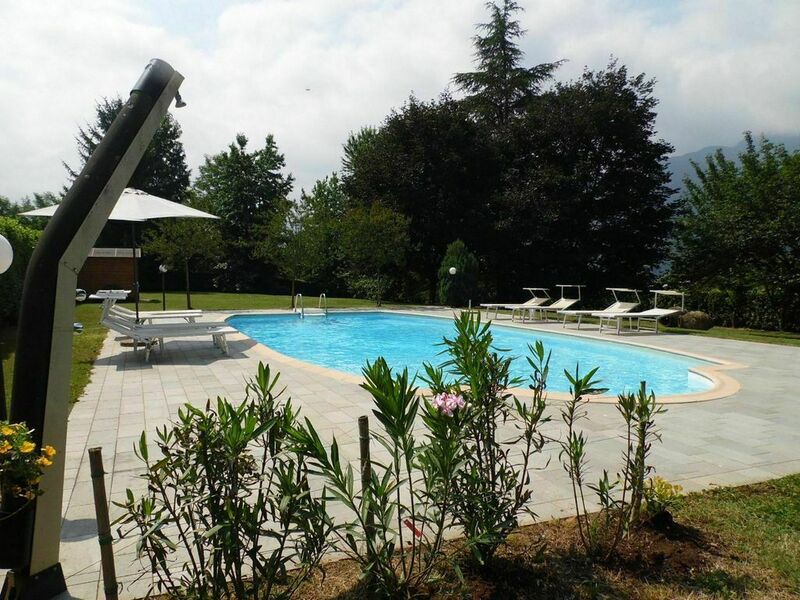 This 4 bedroom, 3 bathroom property has panoramic views over the mountains and good sized swimming pool. 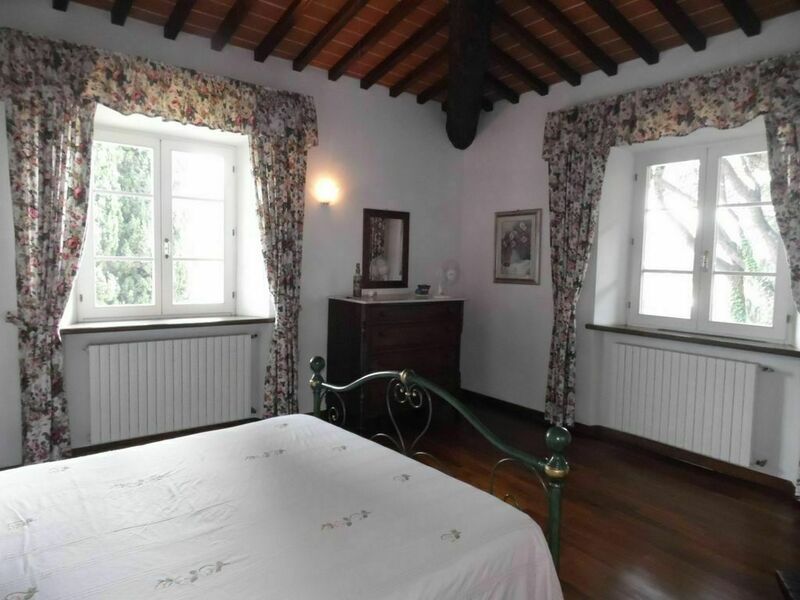 The Villa is spread over 3 floors, with the main villa on floors 1 and 2, and an interconnecting one bedroom apartment on the ground floor. 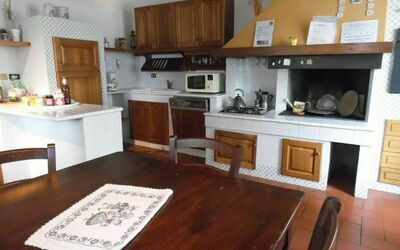 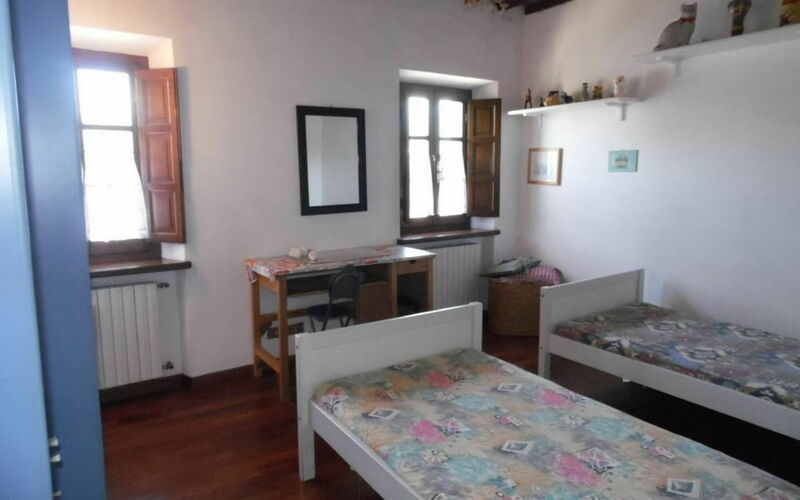 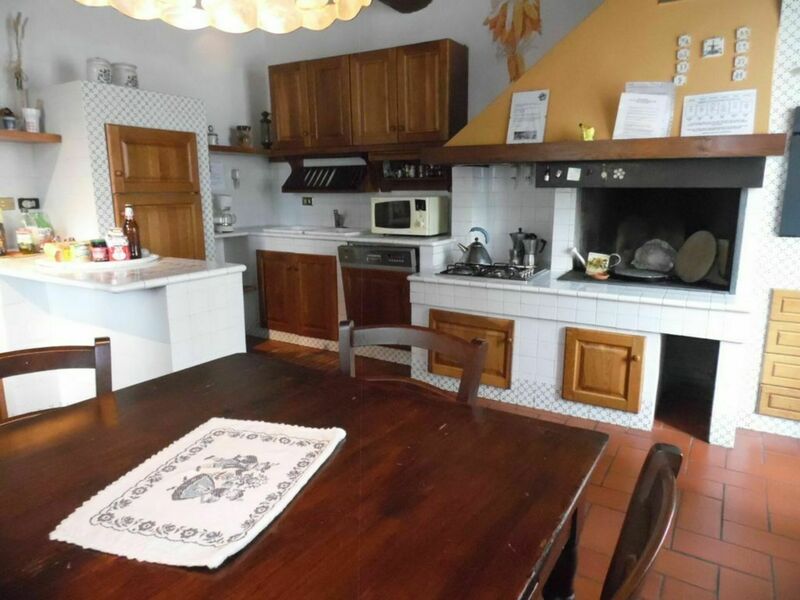 The apartment is fully independent with personal access, and eating area, but interconnects internally, with the main Villa as required. Ideal for a family and a couple wanting together time and separate space too. 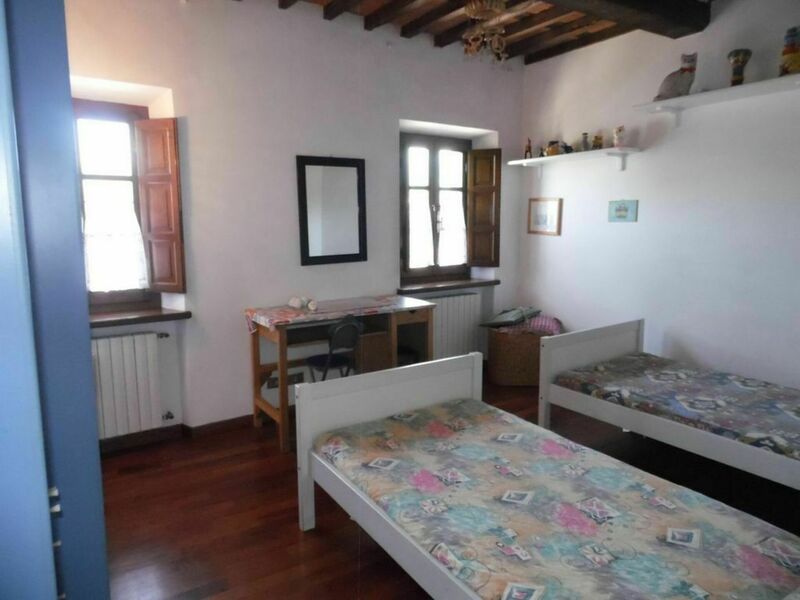 Also, if one needs to use the sofa bed one does so in the second living room (which is in the apartment) leaving the main living room free. Even when using the sofa bed there is plenty of living area in both parts of the house. 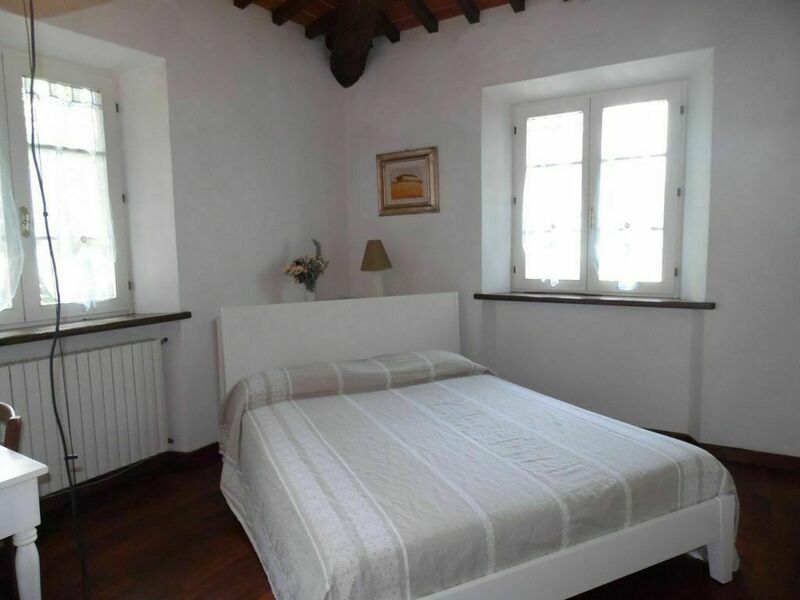 The apartment is fully furnished, with an open plan style kitchen/diner/living all connected by arches, with direct access to the courtyard and garden. 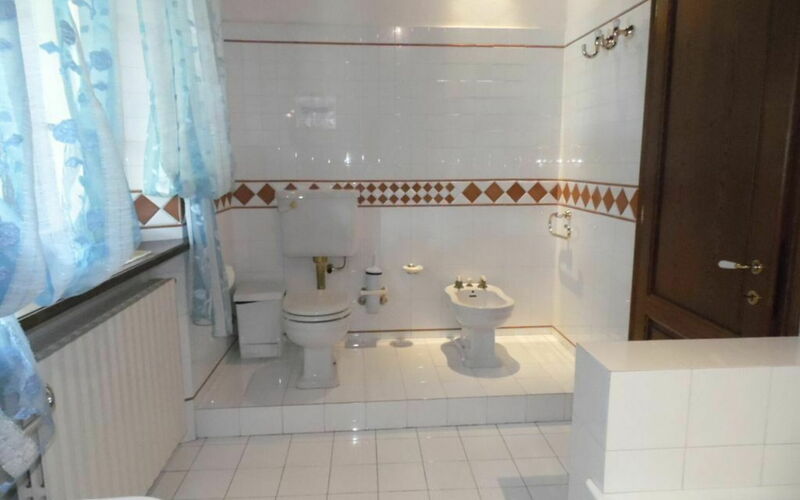 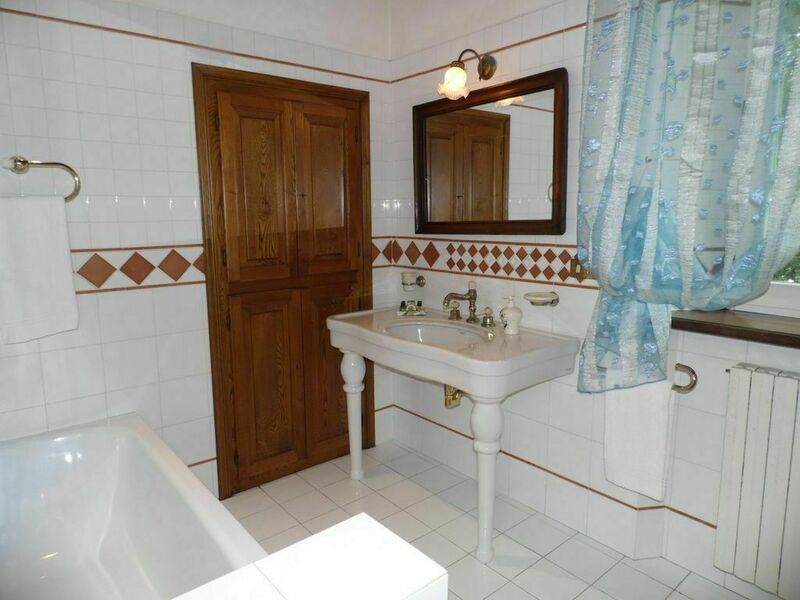 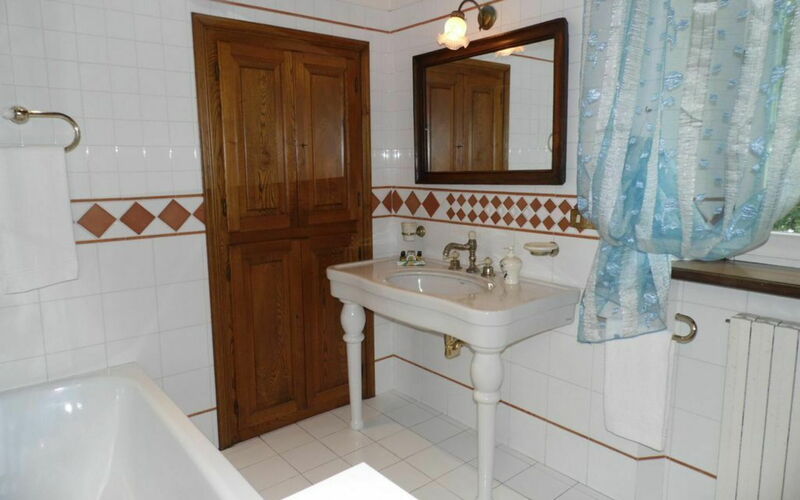 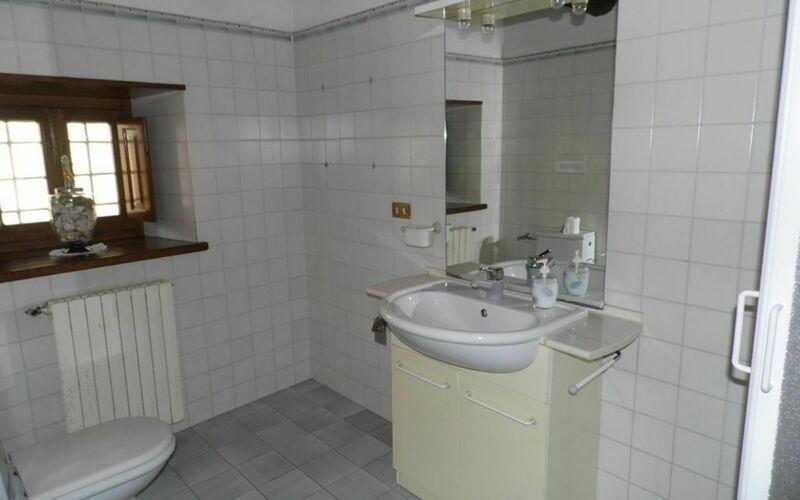 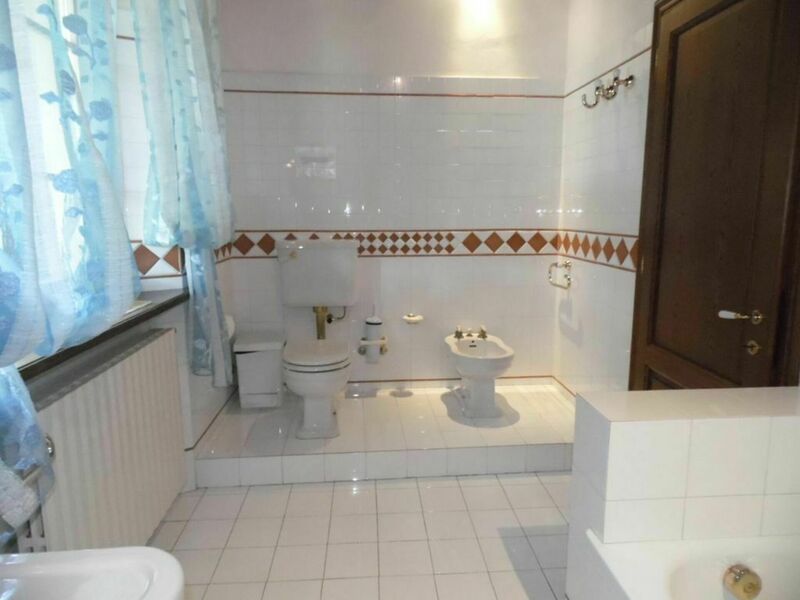 There is also a comfortable double bedroom and good size shower room. 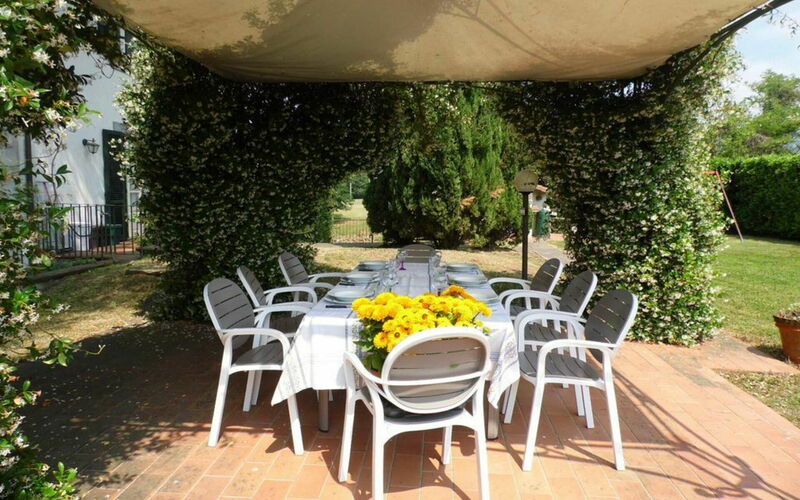 The Villa itself is very spacious, and is a well loved, well kept property, previously used as a family home. In the main villa on the second floor there are 3 further bedrooms, and 2 bathrooms (one with a tub), with the first floor boasting a large entrance/living hall with wood burning stove, comfortable and ample living room with open fire, spacious and well equipped kitchen/diner leading to the garden. 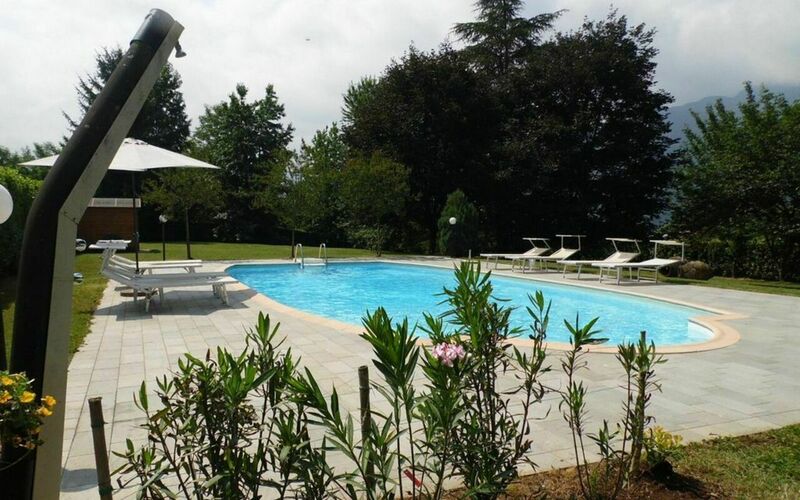 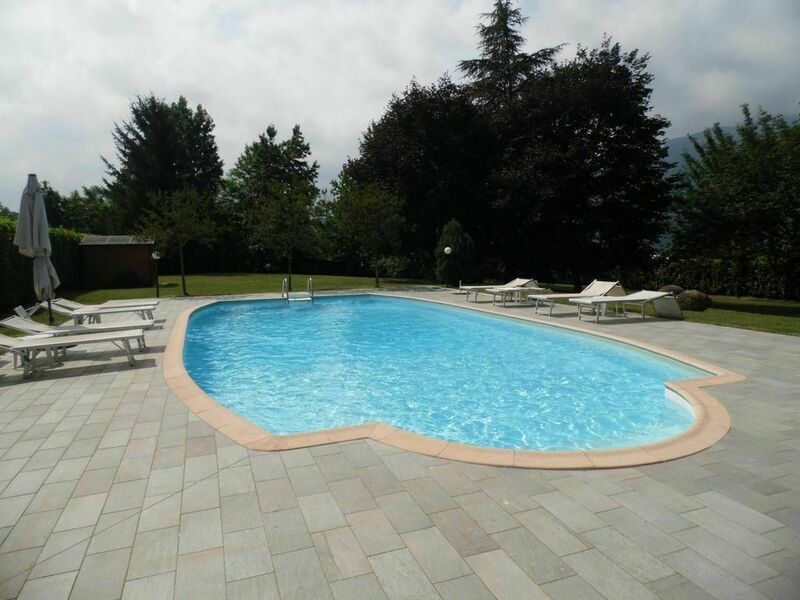 The mature beautiful garden is fully enclosed, and flat, and boasts a large private swimming pool 6x12M and 1,2 to 2M deep with views over the mountains, covered gazebo for dining al fresco and of course a Barbecue. 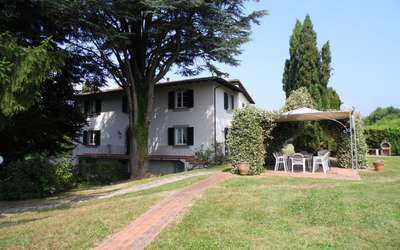 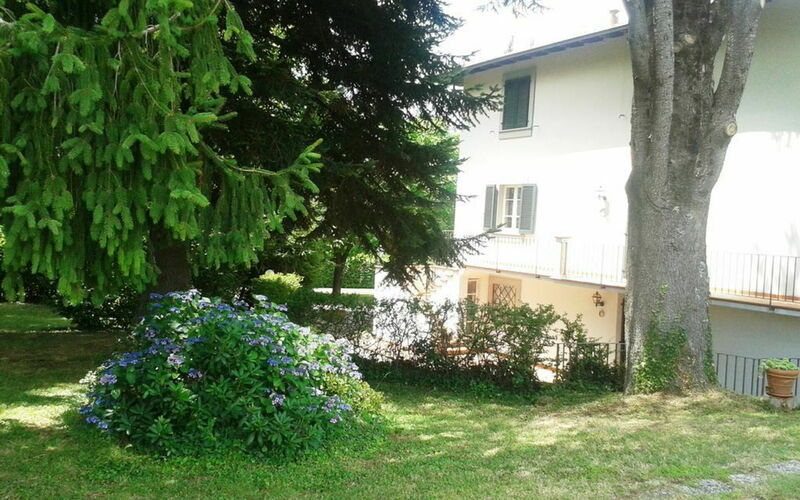 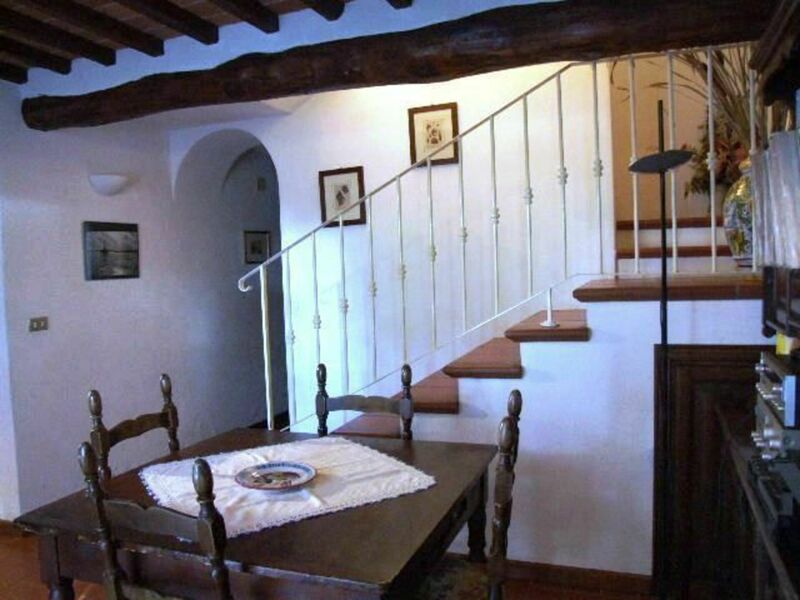 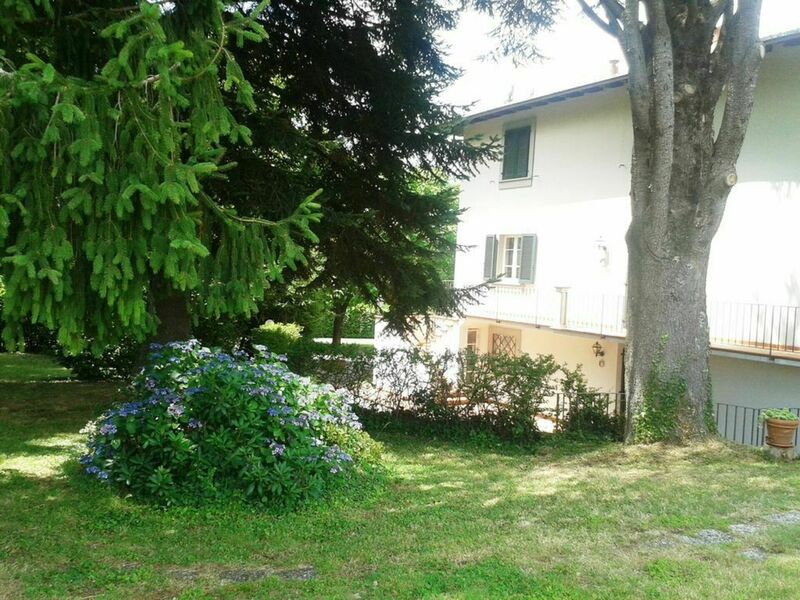 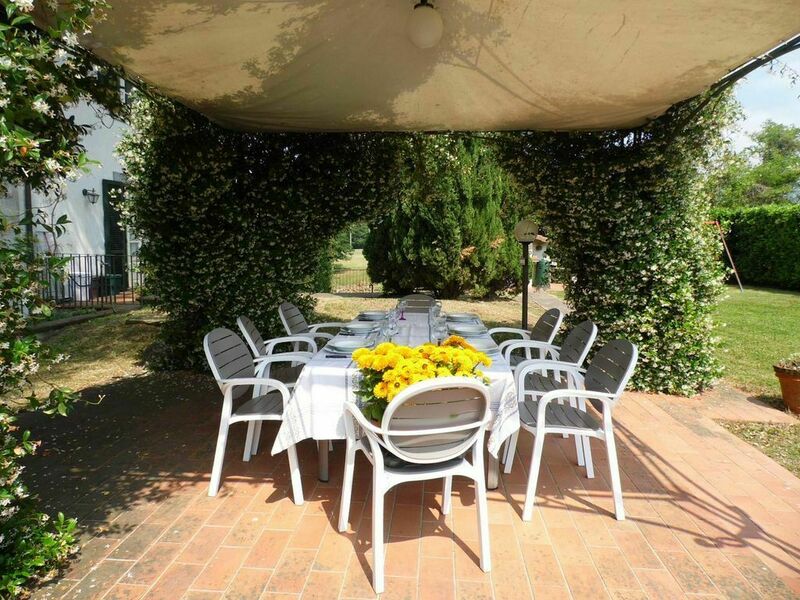 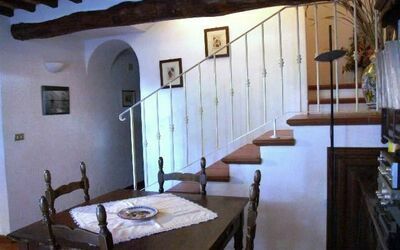 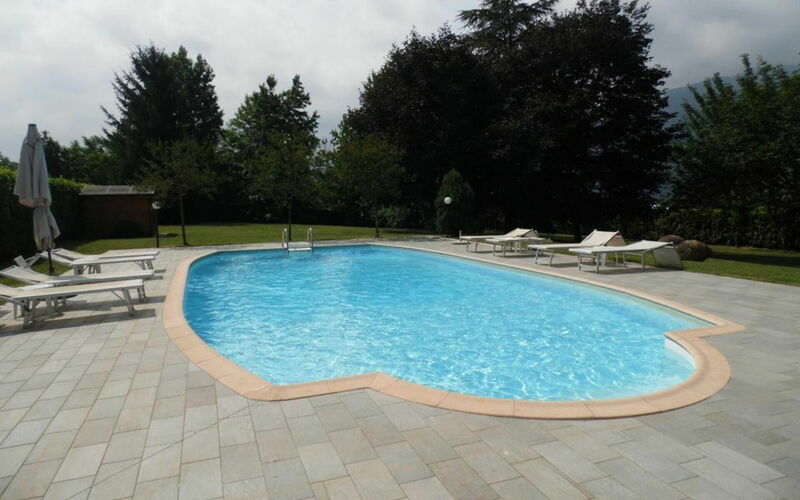 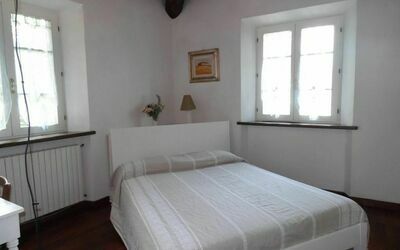 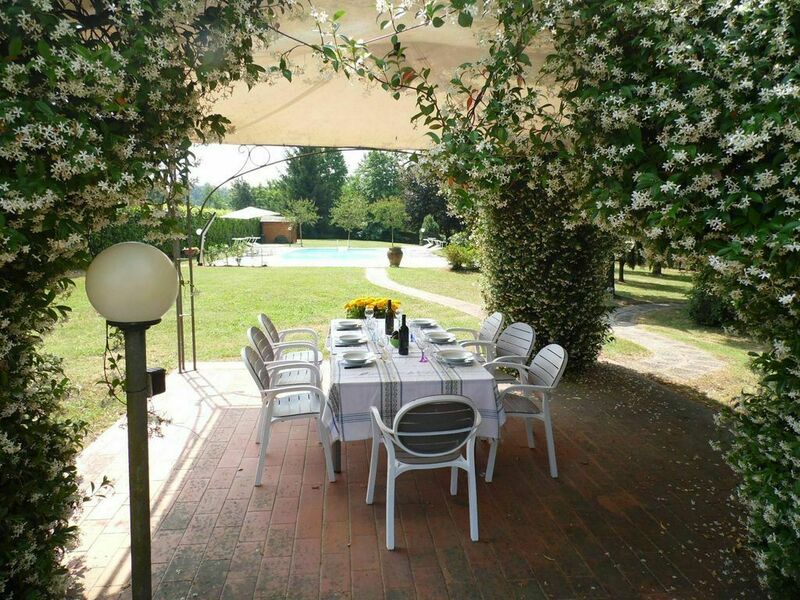 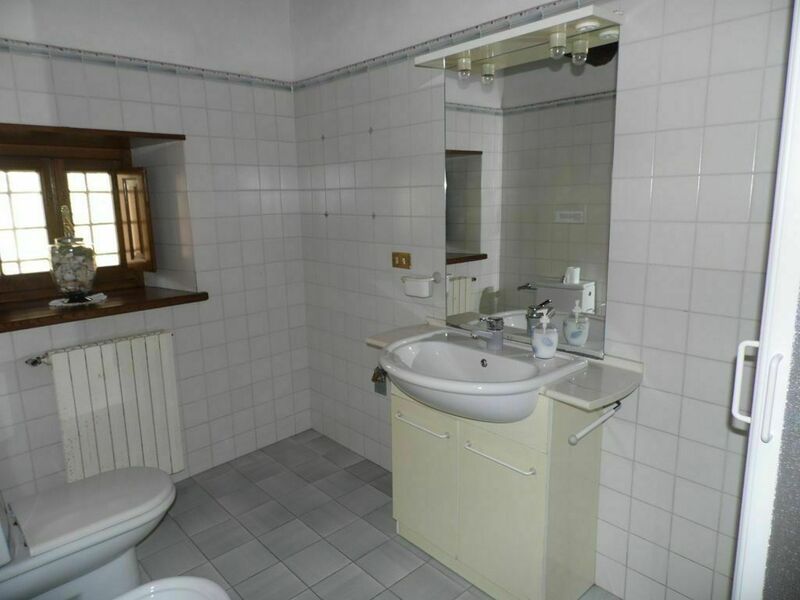 A wonderful place for a relaxing holiday, all within easy reach of the facilities of Barga.